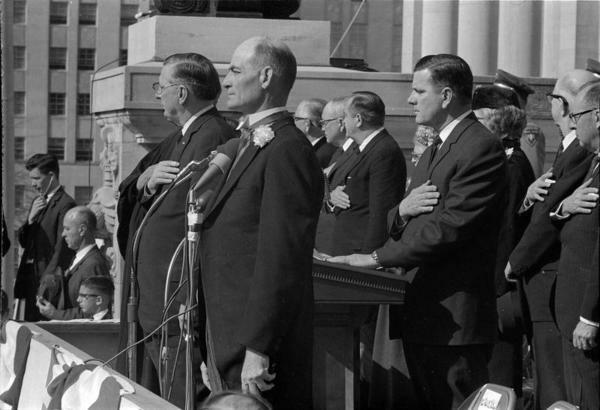 Description: Inauguration of Governor Paul B. Johnson Jr., January 21, 1964, at the State Capitol in Jackson (Miss.). Paul B. Johnson Jr. stands next to the microphone, Ross Barnett stands to his right. Lt. Governor Carroll Gartin stands at podium.